What makes the iconic auto repair franchise a best-bet investment? For five decades, AAMCO has been the largest, top-rated worldwide leader in transmission repairs. Since 1962, we have serviced more than 45 million vehicles at more than 700 franchised locations in North America. As an iconic brand that people know and trust, we are positioned for continued growth in the auto repair market. In a recent survey conducted by a hired marketing firm, 92 percent of people surveyed recognized us as the leading brand for transmission repair. Extensive marketing campaigns like our “Double-A-BEEP-BEEP-M-C-O” commercials have, over the past 50 years, helped us build and maintain customer trust and loyalty. The level of service we deliver to customers and to our franchise owners is another reason for AAMCO’s consistent success as an auto repair franchise. The general automotive repair market generates $62 billion a year in sales, according to IBISWorld’s “Auto Mechanics in the U.S.” market research report. Our strong presence in this market has garnered the attention of publications like Entrepreneur magazine, which has consistently ranked us as a top choice in its annual Franchise 500 rankings of franchise opportunities. We recently launched our “Trust” campaign to expand the public’s perception of what we do. After all, if we are trusted to fix the most complicated part of a car, we can surely change our customers’ oil, fix their brakes, and rotate their tires. As a result, we have expanded our services into Total Car Care, a segment of the auto repair market that is essential to our growth strategy and meets the consumer needs indicated by industry trends. With the advent of this new service, we believe our automotive repair franchises can gain significant market share. 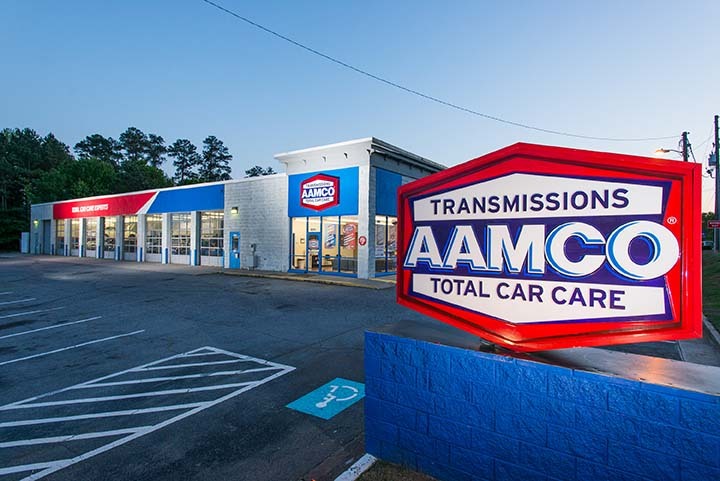 AAMCO is the fastest-growing transmission franchise in the country. AAMCO is one of the best-known auto repair franchises in the world, and our franchisees benefit from the recognition and trust that comes from decades of success in the industry serving millions of customers. Our commitment to advertising early in our franchise’s history helped our brand become a household name. AAMCO’s “Double-A-BEEP-BEEP-M-C-O” campaign helped make us one of the most enduring brand signatures in the history of advertising. We were among the first advertisers to use humor and celebrities in television commercials, and our advertising strategies continue to evolve. Recently, we returned to our advertising roots to deliver the message of “Trust,” which illustrates the reasons why our customers recognize and choose AAMCO’s services. Until 2004, our focus was exclusively on transmission repair, an area of car service that still accounts for 70 percent of our business revenue, according to internal data. With the introduction of Total Car Care, which provides customers with comprehensive car repairs, we are experiencing remarkable changes. In 2014, 60 percent of our customers visited us for Total Car Care, and we expect that number to rise as we continue to advertise in national and local markets. We’ve leveraged our expertise in transmission work to promote our Total Car Care service, and we believe by doing so we can win a significant piece of the overall market share. The Los Angeles Times reported that a record-setting 237 million cars were on U.S. roadways in 2014, and those cars are older. The current average age of cars is more than 11 years, and trends indicate that the average age will continue to get older. This growing number of older cars means more opportunities for AAMCO franchise owners to make a profit. Overall, the average consumer spends $790 a year per vehicle on repairs, according to Consumer Reports. With the average vehicle on the road more than 11 years and the average driver having six cars in a lifetime, that’s a lot of repairs — and a lot of opportunity for AAMCO to earn lifetime customers who spend thousands of dollars with our franchise owners. If you factor in that most households have two vehicles, and they generally take them to the same place for maintenance, the lifetime value of a customer doubles. We are experiencing great results as we continue expand into Total Car Care, and these results show why we are a brand with staying power. Our state-of-the-art training facility in Newnan, Georgia, offers more than 300 interactive courses through an online learning management system. Lectures and hands-on instruction delivered in a state-of-the-art, theater-style classroom and our on-site, full-service AAMCO center allow us to deliver the specialized training and operational support AAMCO franchisees and technicians need. Our facility also features “distance learning” through webcasts of previous classes and how-to videos that are accessible at any time. This means AAMCO franchisees and employees can access the information they need from any location, 24 hours a day. “The automotive repair industry is increasingly more complex as the car industry continues to evolve, and it’s essential that our AAMCO owners, managers, and technicians continue to offer best-in-class service. We are committed to ensuring that our technicians have the training and expertise that our customers expect from our brand,” says Brett Ponton, President and Chief Executive Officer of AAMCO. AAMCO made another significant investment when we partnered with sister company Global Powertrain Systems to build a state-of-the-art transmission remanufacturing facility adjacent to our AAMCO University training center. The remanufacturing facility allows franchisees to send customers’ transmissions to us for reconditioning and repair. We also can immediately ship an already-remanufactured transmission to the franchisee. The process lets AAMCO owners purchase high-quality, remanufactured transmissions while providing a better warranty and faster turnaround times for the consumer. Franchisees also enjoy potential labor savings and additional capacity because they no longer rely on an in-store transmission builder to serve every customer. For more than 30 years, AAMCO’s National Accounts program has helped establish relationships with large businesses that have fleets of vehicles to maintain. The relationships drive traffic and significant revenue to franchisees. Now that we’ve entered the Total Car Care market, we are leveraging our expertise in transmission repair to step up our service to our fleet customers so they come to us for the maintenance their fleet vehicles need on a day-to-day basis. We have agreements with national companies that own or lease fleet vehicles — when these vehicles need service, drivers are directed to a nearby AAMCO franchise location. 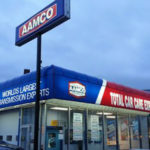 AAMCO bills the national account customer and pays the franchisee for the work. Many fleet companies will only work with providers who can offer remanufactured transmissions, and thus our partnership with Global Powertrain Systems has opened up new sales opportunities. Companies want their own maintenance teams to be able to quickly bolt a transmission into place and get their vehicle back into service. Thanks to Global Powertrain, our owners can sell remanufactured transmissions directly to those customers. Once fleet vehicles come into our stores, they are in our databases. We work hard to make sure their experience with us is positive to ensure that they return to us for their Total Car Care needs.